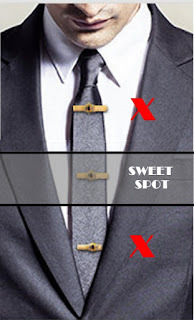 Tie Bars - Here a little History about them. They started in the 19th Century as Tie Pins where English wealthy Gentleman used to wear these. And around the 1870s they made their way also to America where they become quite popular. 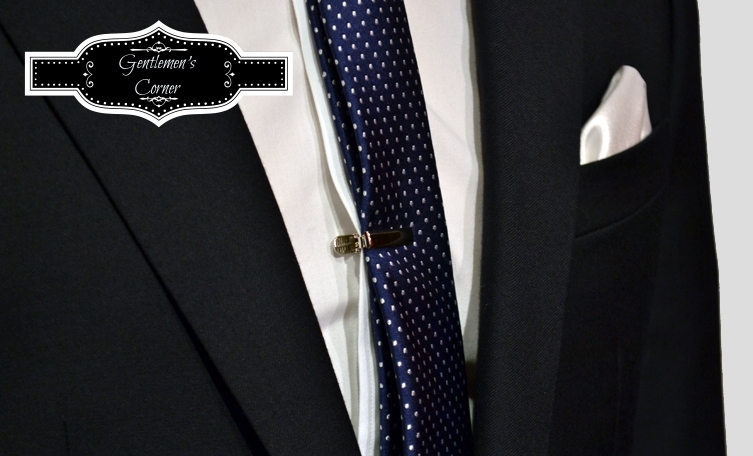 The Tie Bars/Clips itself become popular in the 1920s. But enough of History. 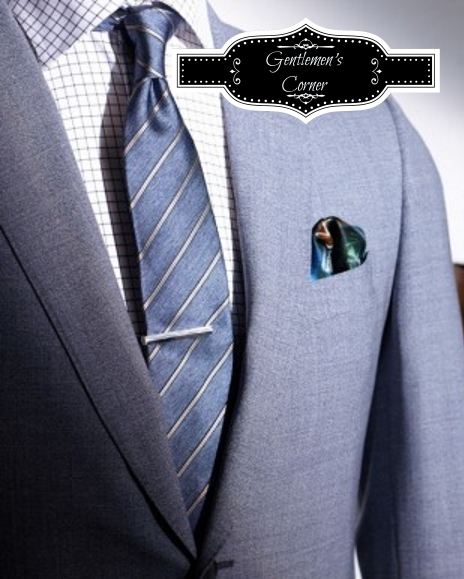 As by Pocket Squares or Cuff Links also by Tie Bars exist a whole bunch of different Designs, Styles and Colors. In business setting you will find Men most wear smaller Bars made of Gold or Silver. However on the other side you find more and more young Men wearing other Styles and Colors and experimenting with then and different Suit Styles. Now here are Tips to consider when wearing a Tie Bar. The Tie Bar/Clip must be connected to both the tie's tails and the shirt. The width of the Bar/Clip. The half, 3/4 or the same width as the Tie are considers as "on point". So if the width is beyond or beneath the width of the Tie DO NOT wear it.